Another surprise at Lowlands this year. Another surprise hit from the 2013 Lowlands Festival. Deep Sea Arcade come from Sydney and, like their compatriots Tame Impala, Pond and a veritable Tsunami of others, have created something of a resurgence in music from Australia this year. Here is their set, as recorded by VPRO on August 16, 2013. Complete with an obsession of Mangos. If you’ve been staying on top of the current flood of bands coming over from Australia of late, you’ll notice a number of them have one common denominator; Tame Impala. Pond are no exception. In this case, three members of Pond are also involved in Tame Impala – makes for interesting scheduling conflicts, I’m sure. With the release of their latest album, Hobo Rocket, which has been universally praised by everyone from the BBC to NPR, Pond are bracing to become another in what is becoming an increasing long line of noteworthy bands springing up from Down Under. This week it’s an early club date. Ponbd Live at The Amplifier in Perth, from April 23, 2010. A little rough in places, but certainly free-wheeling and indicative of a band exploring their own sound. They toured the U.S. last year appearing, among other places, SXSW. What their current schedule is like I haven’t seen anything on, but I’m sure they’ll be around sometime soon. Temples – Live At Best Kept Secret 2013 – Nights At The Roundtable: Festival Edition. 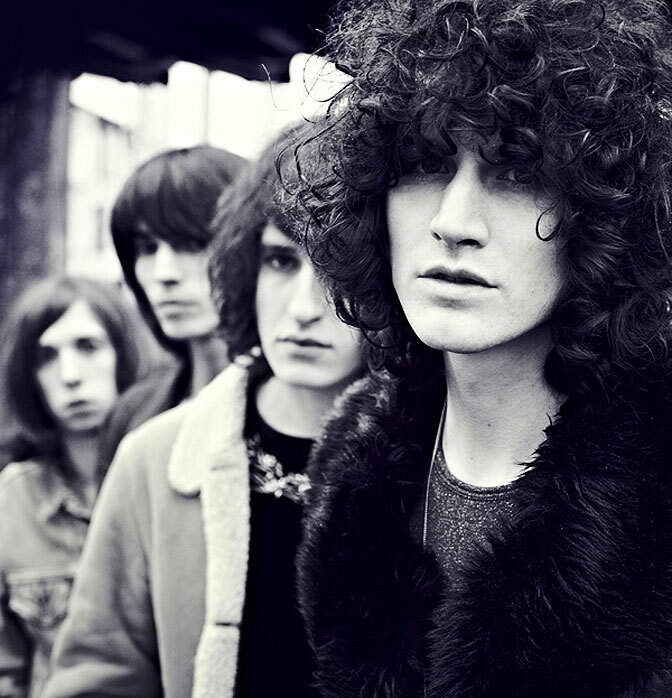 Temples – rumor has it Summer 2013 is rather Psychedelic on the Festival circuit. More from the Best Kept Secret Festival from last week. Rapidly become no best secret at all, this festival has been attracting a lot of attention and promises to be yet another in the seemingly endless parade of well-attended festivals going on throughout the world during the Summer. And frankly, that’s great news. Festivals have long been a place where audiences can get hit with a range of music they used to get via radio, but sadly no longer are able to – at least in the U.S. Europe, I don’t worry about. I haven’t run across a European radio outlet yet that hasn’t offered an eclectic feast of music on a daily basis – but I’m sure some of my friends in Europe may have a different point of view on that. All I know is what I hear every day via streams – and it’s enough to swear off the mainstream for good. Needless to say, festivals have become an embarrassment of riches where music is concerned – and we’re all better off for it. Tonight it’s one of those bands who have been gathering a lot of word of mouth and positive reaction, not the least, positive reaction from the press. Temples have been given Band-To-Watch status by a number of media sites, and even now their initial recorded endeavors, 45 pressings of their debut Shelter Song, have been going for stupid amounts of money via E-Bay. Pretty good for a track issued only a few months ago. But that’s how the band is doing. In short, phenomenally well. And as was overheard during this segment of the Best Kept Secret Festival “it’s going to be a Psychedelic Summer”. And if the overwhelming popularity of Tame Impala is any indication – that’s just about exactly what it is. I first ran Temples in concert a few months back, when they debuted at the London Calling 2012 Festival. They came back and are heading off on a tour of just about every festival between now and October. They have some new tracks out, which I would suggest you grab before they wind up going for more stupid money on E-Bay in a few months. 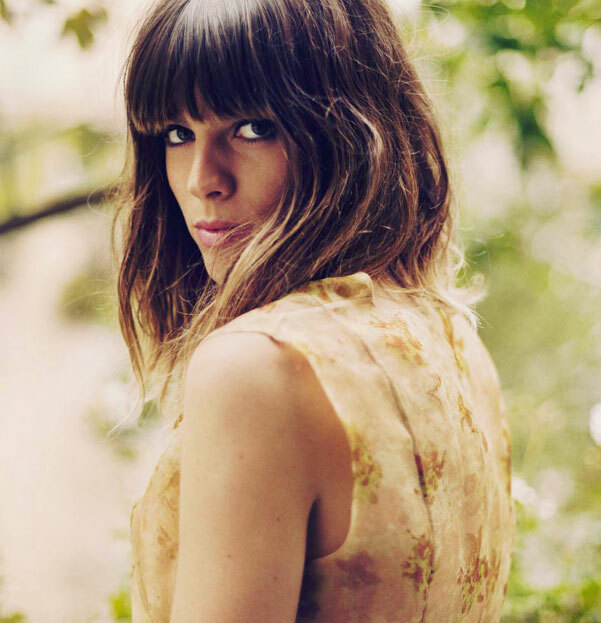 Melody Prochet of Melody’s Echo Chamber – French for Ethereal. A band that have gotten a lot of positive attention of late. Melody’s Echo Chamber is the brain child of Melody Prochet, who has mixed elements of Electronica, 70’s Progressive, Alternative, a bit of Psychedelia and French Melody into one delightful mosaic of sound. Aided by Tame Impala‘s Kevin Parker, Melody’s Echo Chamber just released their new album (Melody’s Echo Chamber) on Fat Possum Records out of Mississippi and have been touring quite a bit since late last year, and are getting ready to start another tour for the Spring and no doubt coinciding with Summer Festival season. Here they are, recorded live at the Paradiso, Amsterdam, during the London Calling Festival 2012 by the venerable VPRO Radio outlet in Hilversum, Holland. A good, ethereal way to kick off the week. No? 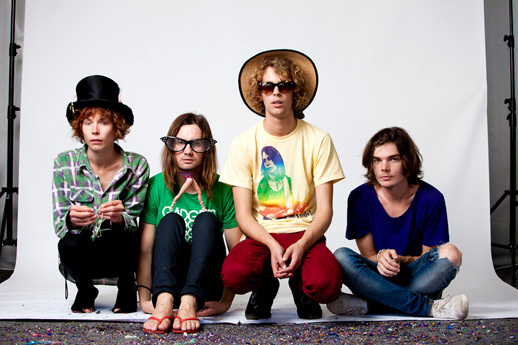 Tame Impala – Heading to a Festival near you in 2013. As much as I find perplexing when a band, with all the signs and indications of becoming a household name doesn’t make it, it’s as exciting and vindicating when a band that you find does. I remember first hearing about Tame Impala several years ago via MySpace. And even in 2007 there was something completely unique and special going on. The best you could do then was cross your fingers, hoping everything would fall into place. Luckily for them, and for us, it did. Tame Impala have become something of a phenomenon. Gaining a huge following by leaps and bounds, they are now poised to do the “breakout tour”. Coming to the U.S. and already selling out in every venue they’ve been booked in. 2013 should be a massive year for them. So, with news they are playing to an already sold-out Coachella Festival, I thought I would give you a glimpse of coming attractions (if you aren’t already familiar) with a concert they performed this past December, as part of a kick-off tour to promote their latest album Lonerism, they were recorded by the venerable Australian radio channel Triple J (who you need to bookmark, visit and check out at least once a week for their beyond-fantastic Live At The Wireless program) on December 14th and broadcast January 21st of this year. If you already have tickets, get ready for a mind-melting experience. If you don’t . . .bribe somebody. In the meantime, enjoy and crank this one way up. 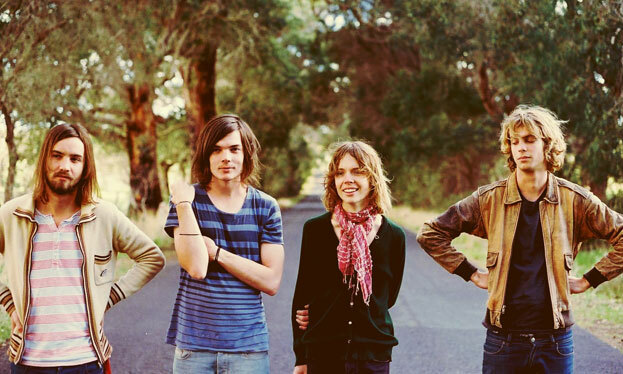 Tame Impala – New album in October and a visit to the U.S. soon. It’s certainly good to hear that, after a seemingly endless wait, Australian Psych Merchants Tame Impala are coming out with a new album in October. Slated for released on October 5th in Australia and October 9th in the U.S., Lonerism has been eagerly anticipated by fans and the music press. Tonight it’s Elephant, a track off the new album that’s been out and around the past month, and its generating a lot of buzz. And to top it off, Tame Impala will be doing a tour of the U.S. in November, with a scheduled live performance on KCRW‘s Morning Becomes Eclectic early in the month. Good times guaranteed for all.